Any business worth its salt has a quality phone system in place to ensure its customers have a reliable way to contact the company. It’s a tried and tested method that allows a managed interface between the company and its clients. Traditional telephone systems have been in place for decades. However, with current trends and technologies the need to update old business phones is high. Newer and more advanced systems enable a company to do a lot more than just talk to its clients. With features like call monitoring, call broadcasting, SRM integration, remote access and much more, these phones make sure that your business has the best tools at its disposal. Choosing a new phone system is not a decision that can be made easily. There are a lot of factors involved like budget, services required, reliability, etc. that a company needs to account for before making the switch. 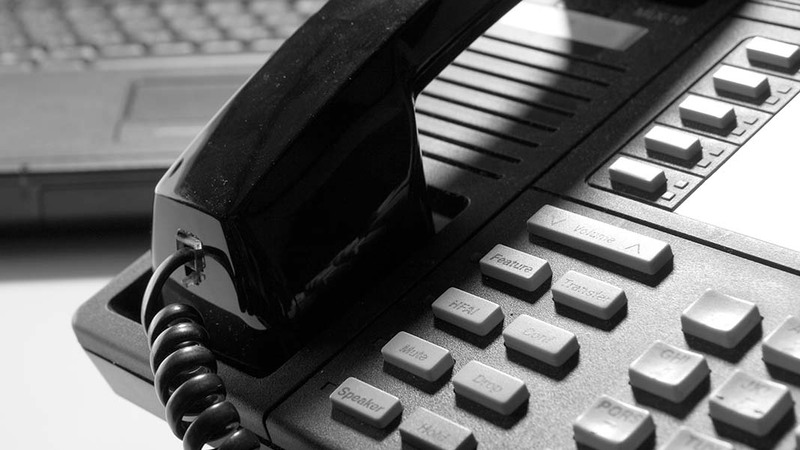 A bad or inadequate phone system can do more harm than good. Therefore, a detailed study is essential before making any decision. There are a lot of wrong choices that are possible so being prepared is a must. What most people fail to realize is that telephony has completely changed from what it once was. When the time to replace the telephone system comes, many companies just duplicate the existing systems. However, the new, technologically much-more-advanced systems offer opportunities to become a more productive organization. Helps in discovering efficiency increasing features offered by mobility and collaboration capabilities that are unavailable in the existing system. Allows identification of communication issues. Permits acceptance of system improvement by the business owners. Most people don’t see much beyond the basic calling and putting on hold features of the phone they are using. While it was the correct approach for older phones, these days there is a lot more to telephony than just making a call or putting others on hold. Technology has come a long way in making phone systems capable of doing a lot more than what they were designed to do. With newer capabilities (like presence and mobility), there is a huge variation between the different products that are available in the market. A prospective buyer should research the market, know about the different products available and choose the ones that are best suited for his business. Another common mistake that most business owners commit is failing to think about the long term when setting up a new business phone system. Don’t be one of those guys. Phones are a long term commitment and should be considered as such. Setting up business phones is not like buying a new iPhone—you won’t be throwing away the old one after a year or two of use. So plan carefully and take your time before deciding on a product. There is a twofold decision that you have to take before choosing. The first decision is choosing the actual system that you will be using and the second one is the selection of the VAR/Integrator for the installation and support of the system. Choose the best system available in your budget and a support service provider that best complements it. Don’t expect that your business phones are going to make your company more productive by themselves. They are tools and thus are only advantageous if there are people handling them the way they are supposed to be handled. As already mentioned earlier, business phones are a lot more than regular phones and are capable of a lot of extra features. However, most of these features will go unused if your staff is not capable of using them. When you have chosen a new phone system make sure that your workers know how to use them. While training methods like webinars or train-the-trainer approaches might sound financially beneficial, nothing beats simple classroom training. The new phones have many features that the users might not have even heard of let alone being able to use them. A well-organized training session will make your agents understand how all the features work and how to use them in the best manner for the overall benefit of the company. The most overlooked issue when a new phone system is chosen is the existing infrastructure. VoIP services have specific network infrastructure requirement that should not be required. As almost every commercial telephony service has a major VoIP component involved, this means that the data which is switched from the phone has to support VLANs and QoS. Moreover, it should be made sure that these features are configured and working on your network. Other factors besides the network, like power outages and network support staff, should also be taken into account. These little details are easy to miss but may end up harming the company in a very negative manner if not addressed beforehand. Now that you know what mistakes not to commit, make an informed and well-planned decision when choosing a new business phone system. VoIP services are lot more complex than they appear at first so changing the phone system is not a decision that should be taken lightly. Avoid all the above-mentioned mistakes and select the phone that best compliment the needs of your business. A well-designed, feature-full business phone will open up a lot of new opportunities and possibilities for your business to expand and grow. Author: Arsh Sharma is editor of Servetel Communications, a leading provider of call center solutions and hosted PBX services. He likes fooling around with technology and the latest gadgets. Arsh feeds off pop culture and loves anything that has got something to do with comic books, dota2 or football.